The most difficult task in this egoistic world is to to on living, happily, with someone you love. At first it’s easy. At times, it seems impossible. The first glow over, how could Romeo have gone on with Juliet? How would the affection of Nelson for Emma Hamilton have survived “long connubial years?” How would Cleopatra have hit it off with Henry V? How would Scarlett O’Hara rub along with Hamlet? 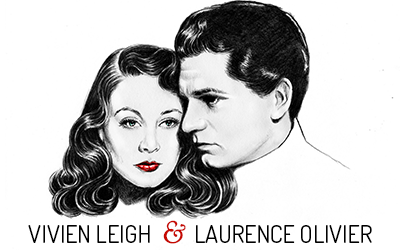 Yet they do–in the persons of Vivien Leigh and Laurence Olivier. For, like all good players, they have absorbed something of the essence of the parts they have played. Six years ago the Oliviers found that they could not live without each other. They are still content. “We find it very easy, this living together,” says Olivier, lounging comfortably in a chair in his wife’s dressing room at the Picadilly Theatre. A Siamese cat called New is asleep in his arms. “Yes,” says Vivien, resting on a couch, assessing him with her grey-green cat’s eyes. (In their home they once had sixteen cats; she loves them. He likes them, but has a preference for dogs–and horses). Can she find fault with him, even some minor flaw, like pressing the toothpaste at the wrong end? No. She won’t admit any. “I think he is the perfect husband,” she says. Olivier does not refute it. He smiles. The Siamese cat changes over and goes to sleep again at Vivien’s feet. Vivien’s legs are trim in black stockings. She is about to go on as Sabina, the maid-of-all-work in Thornton Wilder’s The Skin of Our Teeth. Her husband is about to shed fire and youth and manhood and become doddering old King Lear, in the latest of his great Shakespearean portraits. They are strangely alike these two–strangely because, until you see them together, you would not imagine there would be any facial similarity. Yet it is hard to define. Perhaps it is the nose. Hers is very feminine, tip-tilted in the way that Tennyson liked. And his, masculine, comparatively rugged, has the suggestion of and upward turn at the end. It can’t be the mouth. His is stubborn, sensual, almost loose. She has a poetical rosebud. Their faces are oval; they have the same steady glow in their eyes. “Yes, people say we are alike,” says Vivien Leigh. It needs an actress to understand an actor. He likes hacking one of those Irish chargers from his film Henry V around Bucks. She likes riding, too, but she is still delicate. There was that “small spot on the left lung,” now cleared up, which with other trouble, kept her off stage and out of films for nine months. Her health is the reason why they are going to Hollywood in the winter. She loves sunshine–she was born in India–and she needs it. He prefers the dismal English climate. “The infinite variety of the English winter,” he calls it. Sun-worshipping does not appeal to him; give him the wind and the rain. She’ll take cosy warmth, like a cat. Clergyman’s son from Dorking and lawyer’s daughter from Darjeeling, each had one definite ambition–the stage. Vivien was educated at Roehampton and abroad, stage-trained at the Comedie Francaise and RADA. Slim, Dresden china-like, prettier than an orchid, she tilted at the hard world of cinema, played a minor part or two. At sixteen she had married a barrister, Herbert Leigh Holman. Three years later–and mother of an eighteen-month-old daughter–she played wanton Henriette in The Mask of Virtue on the London stage. May 15, 1935! She could not sleep that night. At 4 am. she was in Fleet Street buying up all the morning newspapers. Every notice was an excited rave about her. Fame, flowers, film contracts hit her that day. Olivier’s road was longer and rougher. His first taste of the stage came when, as a schoolboy, he played in a juvenile production at Stratford Festival. Schooldays over, Olivier went to the Central School for Dramatic Art and began his apprenticeship, making his first professional appearance in a curtain riser to The Ghost Train at Letchworth in 1925. Often hard up and jobless, he plodded forward, from walking-on parts to small speaking parts, joined Birmingham Repertory. Critics began to notice the dark young man with the athletic frame, the stubborn mouth, intelligent eyes, thin line of mustache, soothing voice and Foreign Office manner. In 1930 he was playing with Jill Esmond in the Drinkwater play Bird in Hand. The fell in love, got married. Miss Esmond wrote at the time: “Marriage, if it is to be better than slavery, must mean perfect freedom of thought and action on both parties.” They were happy for six years and a son, Simon, was born to them. Meanwhile Olivier’s star ad risen on the screen and stage in New York–and in Hollywood. Mrs. Holman and Mr. Olivier met at the Savoy, prosaically enough over cocktails. They had dinner with friends. There were no fireworks at the meeting. They had to meet sometime because they were both under contract to make films for Korda. They were two respectable married people, two people with their feet on the ground, two sensible people unaffected by gallery cheers and flattering film contracts. They met–and they fell in love. They appeared together in Korda’s Elizabethan film, Fire Over England. They went to Denmark to play in Hamlet at Elsinore. By this time most of London knew of the romance. In July, 1939, they were on the same ship going to America, for Hollywood had claimed them both. 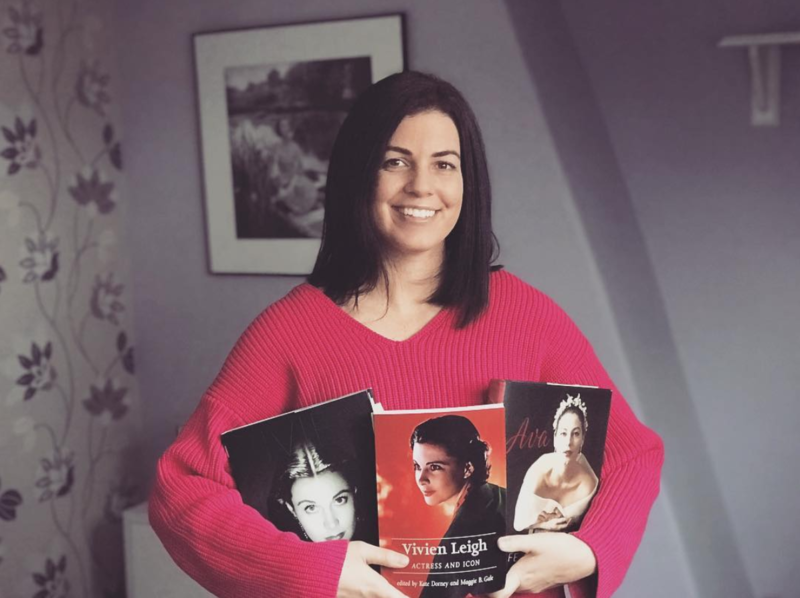 Under the noses of American actresses, Miss Leigh had snatched the part of Scarlett O’Hara in the longest film ever shown, the mighty Gone with the Wind. Olivier was Heathcliff in Wuthering Heights and Darcy in Pride and Prejudice. Their divorces went through without fuss or ill-feeling. They were married quietly in California in August, 1940. The bride was twenty-five and her husband was seven years older. The war was on. As soon as they could slip contracts, they came back to England. Olivier wanted to fly. He had taken lessons in California. He was thirty-three, a bit old for air duty, but he joined the Fleet Air Arm and qualified as a pilot and lieutenant RNVR. So Larry flew and Mrs. Olivier camp-followed and later played in Shaw’s The Doctor’s Dilemma and did an ENSA tour in which she sang “I’m Not So Scarlett” to the troops. The Larry was instructed to make a patriotic film. He produced Henry V, playing valiant Harry. It cost a fortune, almost as much as Caesar and Cleopatra, in which his wife was the only possible choice as Egypt’s queen. “We haven’t any set plans about Hollywood.” says Olivier. neither is under fixed contract now. They would like to do a film together but that is in the lap of the film bosses. Both the Oliviers like the luxuries of life but they also like work. They both smoke cigarettes–but not continuously. They take alcohol–but not as a habit. She is an addict to crossword puzzles; she must do the Times crossword each day. She likes reading. During her illness she re-read all of Dickens and she collects Dickens first editions, and modern pictures. Olivier reads plays. They would like to have children of their own but her health has been against child-bearing. Neither needs to pose. She is more at home in a gingham dress than in mink. She looks angelic but can spit fire. When she was playing the cockney waif in down-at-heel shoes opposite Laughton in St. Martin’s Lane she astonished studio onlookers by her indignation–forcibly expressed in four-letter words–at some injustice on the set. Olivier, monosyllabic and almost hesitant in ordinary conversation, has the temper of a steel spring or a Toledo blade. His mouth and his record indicate his smouldering determination to succeed at what he wants to do. Offstage he is not histrionic. One of the few gestures he has ever made was after the Old Vic season in Paris. He kissed a finger and laid it on the stage saying: “I give the Comedie Francais back to its rightful owners.” The French loved that. Busy, intelligent people, The Oliviers are still confident that each of them has chosen the right partner in the strange business of living.